Of all DC's 52 new releases named so far, these ones excite me the most. I get my Arkham Asylum wish with Harley Quinn in a relaunch of an old favourite, Legion is sounding really strong and the Wildstorm folks pop up everywhere! 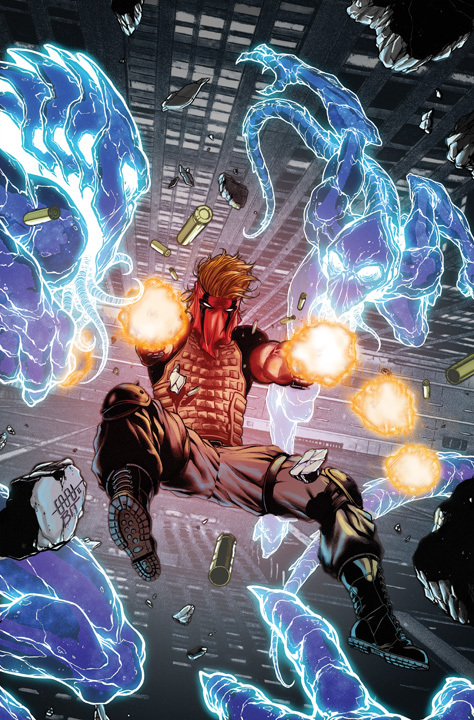 GRIFTER #1 (left) Cole Cash is about to be branded a serial killer, hunting and exterminating inhuman creatures hidden in human form – creatures only he can see. 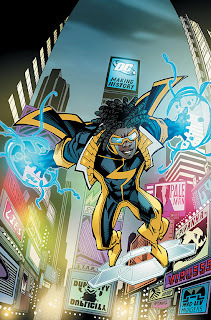 Writer; Nathan Edmondson, Art; CAFU and BIT (T.H.U.N.D.E.R. AGENTS). STORMWATCH #1 Martian Manhunter and Jack Hawksmoor are recruiting for the worlds most dangerous clan destine strike-force. Next on the list: Midnighter and Apollo. Writer: Paul Cornell Art: Miguel Sepulveda. LEGION LOST #1 Trapped in our today, seven heroes of tomorrow find their mission turns from one of delivering salvation - to needing it. Writer; Fabian Nicieza Art; Pete Woods. DEATHSTROKE #1 The metahuman mercenary is out to reclaim his legacy - any way possible. Writer; Kyle Higgins, Art; Joe Bennett and Art Thibert. OMAC #1 (left) Transformed against his will into a powerful killing machine, what can one man do? 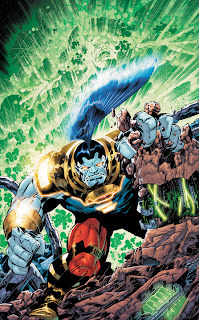 Writers; Dan DiDio and co-written and illustrated by Keith Giffen and Scott Koblish. SGT. 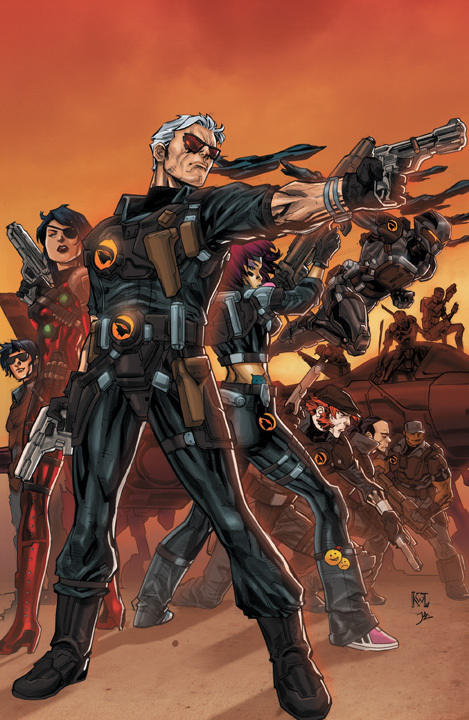 ROCK AND THE MEN OF WAR #1 Military comics return to DC, with the grandson of the original Sgt. Rock assuming the command of Easy Company, a team of crack ex-military men. Writer; Ivan Brandon Art; Tom Derenick. ALL-STAR WESTERN #1 Jonah Hex finds chaos in the Gotham City of the pioneer days! Plus back-up tales of DC’s other western heroes. Writers; Justin Gray and Jimmy Palmiotti, Art; Moritat. LEGION OF SUPERHEROES #1 Having lost several of their finest, the 31st centuries best struggle to adjust. Writer; Paul Levitz Art; Francis Portela. TEEN TITANS #1 Tim Drake is back as Red Robin and all is right with the world. Actually it's not really, so Tim puts together a new team to get it that way. Are he, 'Wonder Girl', and 'Kid Flash' up to the job? 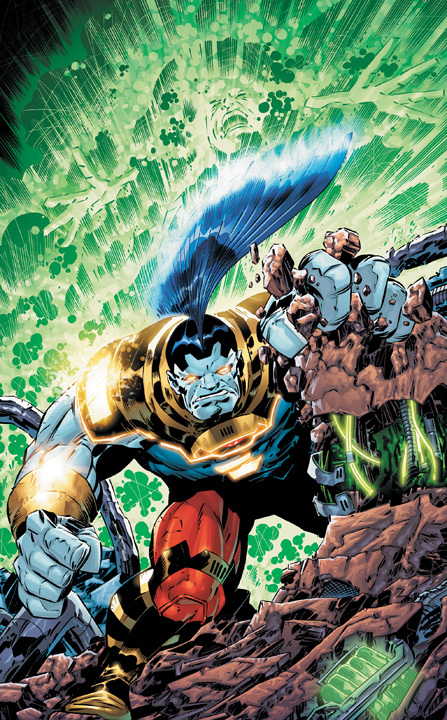 Only writer Scott Lobdell and artists Brett Booth and Norm Rapmund know for sure. BLUE BEETLE #1 Can one teenager turn an alien weapon of mass destruction into a force for good AND survive high school? Jaime Reyes is going to try. Writer; Tony Bedard, Art; Ig Guara and Ruy Jose (For more visit CBR). 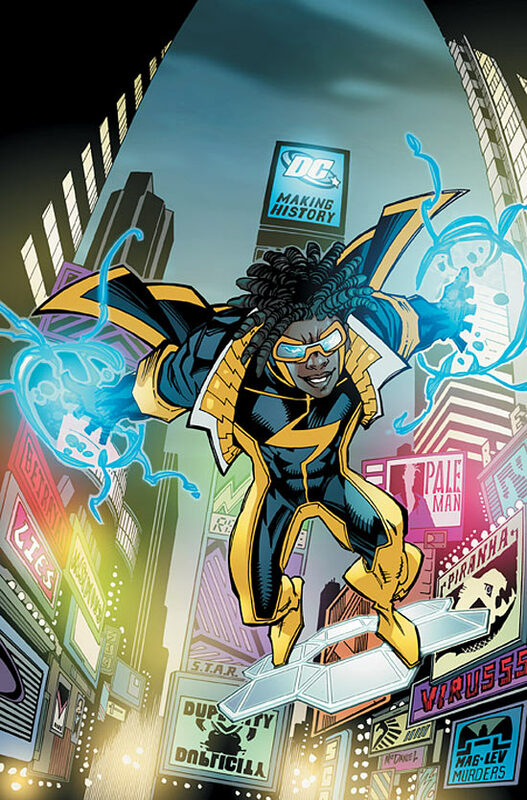 STATIC SHOCK #1 (above, left) Virgil Hawkins finds trouble, homework and hormones cling to him where ever he goes... if only the girls would do the same. Co-writers; John Rozum and Scott McDaniel, Art; Scott McDaniel and Jonathan Glapion. HAWK AND DOVE #1 Artist Rob Liefeld returns to his pre-New Mutants roots, with DC's avatars of war and peace. Mind you, I think both of those broke out on the DC messageboards the moment he was mentioned on the title. Writer; Sterling Gates. BLACKHAWKS #1 (left) Global hi-tech mercenaries out to kill global threats, before they can put the kiboosh on us. Go Joe! Writer; Mike Costa, Art; Ken Lashley. What do you think of these titles? Glad to see the ol' All-Star Western title come back, tho! any idea when this comes out? maybe i'll do a review of this also when it comes out. thanks for the heads up keep me posted. I love the idea of Harley in the Suicide Squad...heehee. But I'd love to see Ivy in there too. That's probably a holdover from that episode of BTAS. I'm excited about the Grifter book. Always loved him. Not so thrilled about rebooting Titans, AGAIN. And if they do, they'd BETTER have Superboy in it along with Red Robin and Cassie and Kid Flash or I'm going to be screaming bloody murder. He just got back! They've rebooted Legion so many times I'm getting a little immune to it, but still...sigh. At least that'll feel familiar. I wouldn't mind checking out the Blackhawks. I love that Harley cover. Lots of good stuff happening. For once I'm glad we don't have a comic shop in town. I could easily blow a paycheck. Wow - thanks for all the great comics folks! @Rob - I was surprised by that Rock connection too - guess eveything at DC has to be a legacy in some way. I wonder how that'll affect the Wildstorm additions? @Dave the video sounds cool mr! Will check it out soon. The new S.S comes out in September - date TBA. @Aliera Yeah the Deathstroke one has my interest to Aliera, but as a guy whose currently selling a lot of his collection I was promising myself to cut back. Oh well rules easy made are ones easy broken I guess! 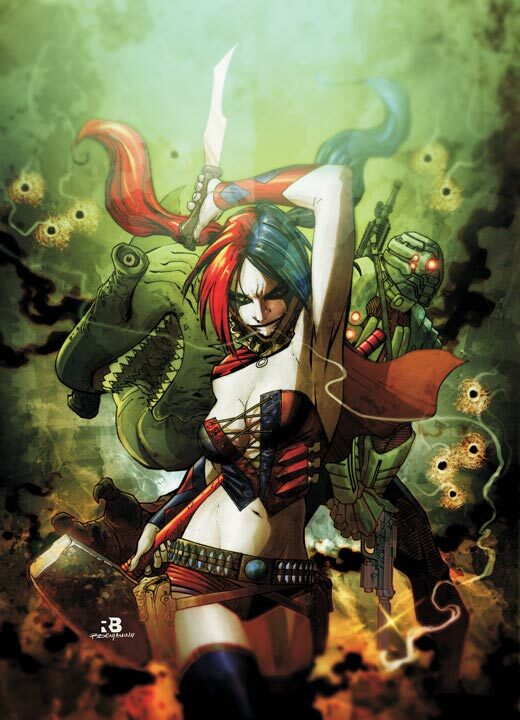 @Random Yeah Harley and Suicide Squad go together better than PB&J. Plus I think she's gonna get on great with Deadshot. No Bronze Tiger? LOVE Grifter getting his own book back, and I'm with you on the reboots of Titans and Legion. Paul's Legion was brilliant and hopefully this might get people to check it out more. Legion Lost sounds brilliant too so I'll let DC pass on the Legion front - as for Titans, I think I'm going to pass.